On April 18th, come and celebrate spring with us! 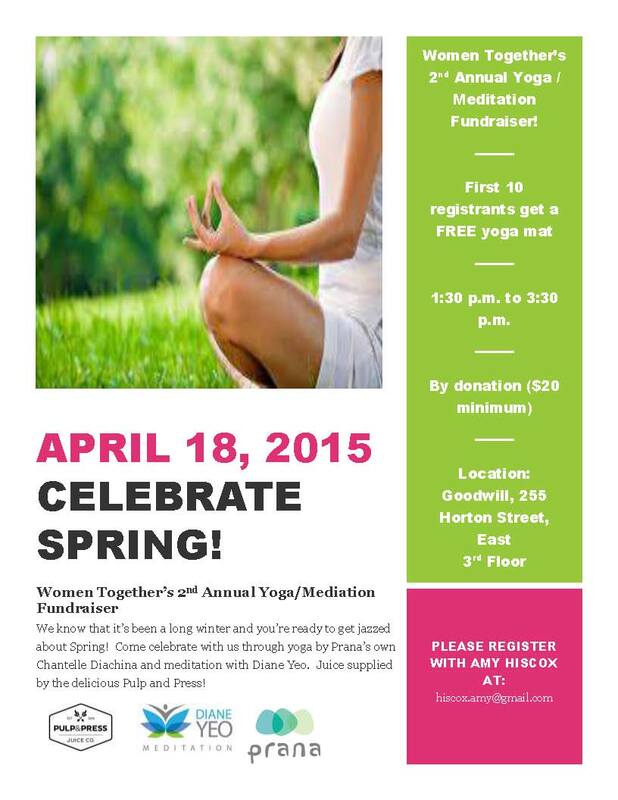 The 2nd annual “Women Together” Yoga and Meditation Fundraiser will offer yoga with Chantelle Diachina along with meditation by Diane Yeo. Enjoy some delicious juice supplied by Pulp and Press. This event will be held at the Goodwill close to downtown London. What a wonderful way to welcome the new season and support a great cause!